AN outstanding performance by Warrandyte’s Ben McMellan has seen Warrandyte Second XI squad win the Pat Meehan Shield. In what was an unbelievable game of cricket, McMellan, 19, held the batting together after coming in at first drop. Chasing Chirnside Park’s 142, McMellan’s 53 not out and a final wicket stand with 15-year-old Luke Killey (2no) worth 36 runs nudged Warrandyte across the line with one wicket in hand and four balls to spare. It was a miraculous recovery, with Warrandyte staring down the barrel at 7/83. It followed a solid performance with the ball the day before, with Ryan Pascoe’s 3/34 the best of the bowlers, combined with a direct hit run out from the boundary for Pascoe. Warrandyte would field tightly, presenting three run outs for the day which highlights the standard of cricket they are able to produce. The skipper, Cameron Day, returned to the club this year and was given the task of returning a flag after a dismal year for the squad. Day took this task to heart and developed a great mentality around the squad. Credit should also go to wicket keeper Dale Lander, who scored in excess of 500 runs for the year, an extremely rare event in this grade of cricket. Warrandyte played another grand final that same weekend at the Warrandyte Cricket Ground, but unfortunately the Second XI fell an agonising 10 runs short of glory. Playing Kilsyth, Warrandyte was asked to chase in the final, which is always an unenviable task. Unlike their counterparts, the Bloods fell at the last hurdle and were unable to find the 175 runs needed. Captain Stewart Smead almost got the team over the line, batting with the tail after a rare collapse. This same squad had beaten Kilsyth two weeks earlier by 207 runs after smashing 339 in a qualifying final, but was unable to find the same touch with the bat. Warrandyte bowled well into this position by Steve Warr’s efforts with the ball. Warr produced a fiery opening spell which included some great consistent lines to put Kilsyth on the back foot. However, this would come to no avail as he was let down by his teammates with the bat. Smead also bowled well, picking up 5/33 with his leg spin, in what would have been a man of the match performance in a winning team. As the season comes to an end, congratulations to premiership player Brenton Styles on winning his first Steve Pascoe Medal and the Brett Kline Medal in his first season with the club. Better known as “Finchy”, Styles swept the night away with his fine season. A popular choice, he closely snuck over the line by a single vote in the Pascoe count, which is a Brownlow-style event held by the club. A close second was Campbell Holland, who also took home his second Pascoe. The event, named after Warrandyte Cricket Club legend Steve Pascoe, is always a great end to the season with the performances across the club recognised and celebrated. First XI: Preliminary final: Warrandyte 181 (McIntosh 37) lost to Kilsyth 7/230 (Sheriff 2/37, Mooney 2/42). Second XI: Qualifying final: Warrandyte 9/234 (Morgan 78, Pascoe 58) defeated Croydon Ranges 136 (Killey 4/21). Grand Final: Warrandyte 9/144 (McMellan 53 no) defeated Chirnside Park 142 (Pascoe 3/34). Third XI: Qualifying final: Warrandyte 339 (Nilsson75, Hoiberg 58) defeated Kilsyth 133 (Warr 3/6). 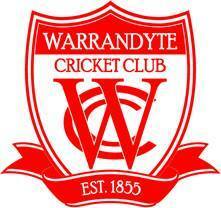 Grand Final: Warrandyte 165 (Smead 37) lost to Kilsyth 175 (Smead 5/33). Cricketer of the Year – Stewart Smead, Club person of the Year – Chris Jackson; President’s award – Tom Ellis. U14s: Darcy Poole, Harper Oehlmann, Bailey Bowyer, Patrick Grocott, Harper Oehlmann.